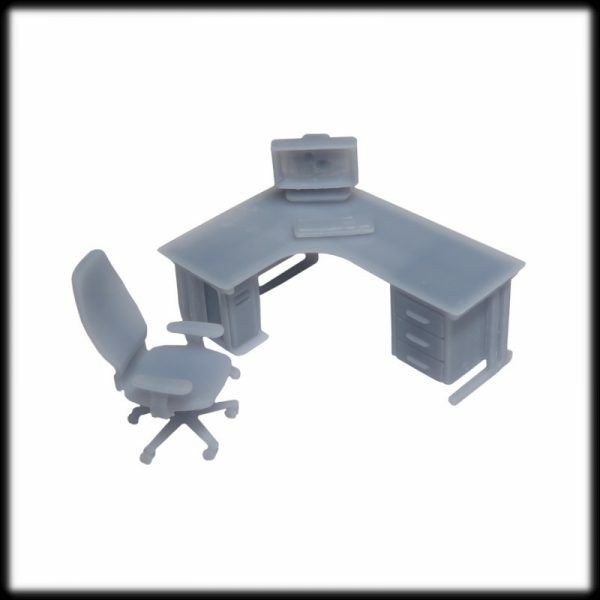 Fantastic delicate and well detailed office furniture set for your interior in 1/76 scale. 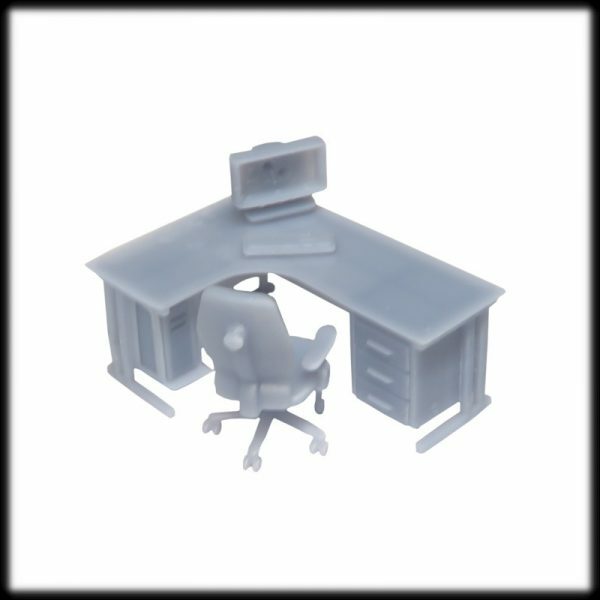 This office furniture small set is good for any interior layouts. It will make your scene more realistic and interesting. This set requires light sanding and painting to complete. 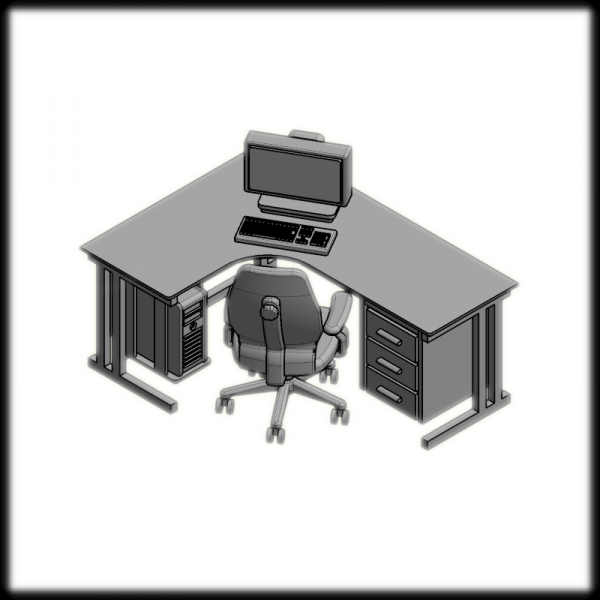 Please note that office furniture set comes unpainted. Image is for illustration purposes only. Individual parts are available on our shop. NOTE: As this is 3D printed part and you receive great quality print, there are still some work needed to finish the item such as sanding and cleaning before painting. Some parts may have very faint marks from supports which are required during the printing process and need to be light sanded/polished. But nothing more than usual preparation comparable to other manufacturing techniques such as injection molding. WARNING: This is not a toy! Do not suitable for children younger than 14 years old.